Welcome to your new page SPOTTED! Spotted! 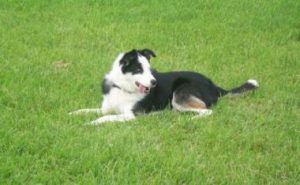 is a place where you can post your stories, lovely collie photo’s, tributes, competition results, in fact anything to do with border collies. 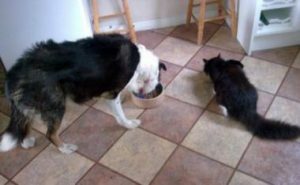 We’ve had pictures sent in of our adoptees, together with news on their development and latest escapades! This is where they will now be posted for all to read and enjoy. If you have something to say, please e-mail us or write in with a photo and we will do the rest. Photo’s should be 800 × 600 or 480 pixels. Happy reading! Hi Gill. In memory of our wonderful boy, Teddy. Thank you for coming into our lives. Thank you for your love and trust – despite profound unkindness experienced previously. Thank you for bringing such joy into our home. We will love you always and think of you and our other precious boy, Bronx, getting to know each other and romping together now. 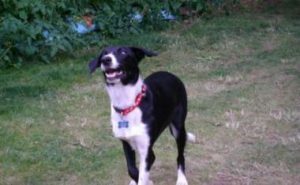 In memory of my beautiful Jodie and a big thank you to Gill for rescuing her and allowing me to adopt Jodie who when we first met was a pathetic sight, terrified of everything. It broke my heart to see her and i felt i had to take her home and make up for the cruelty she had so obviously suffered at the hand of man. In time with lots of love she blossomed into the sweetest of girls with never a growl and i simply adored her. She was with me for just over 5 years, not long enough but it never is. During this time she repaid me a million times over with her love and devotion and followed me everywhere. As a friend said ” at least she knew love before she died”. I love and miss her so much, be happy my darling. I just wanted to share this picture of me and my best friend. He died yesterday age 12, nearly 13. It was an unexpected illness that lasted only 3 days and claimed his life. I have to say I am totally lost without him. I had him from 2 months old and has been my shadow ever since. 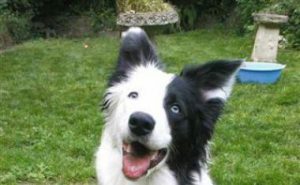 He came with the typical one-person loyalty that Border collies are reknowned for but turned up 100%. He was totally obsessed by me, shunning everyone else, pining and barking when he was elsewhere. At times it was a stress as I felt guilty any time I had to leave him but now he has gone, the hole he has left in my life is terrible. Thank you so much Bob for giving me your unconditional love, you are irreplaceable. I will always be haunted by the look of despair you gave me as the vet took you away for what I thought would be treatment. I didnt know you would die with me not being there. I am heartbroken. 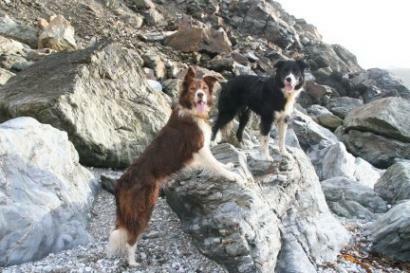 Everyone who reads this, go give your collie a huge hug, you are so lucky to still have your best friend with you. Beanie seems to have settled in so well, as she now runs our house. 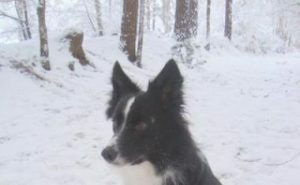 Gorgeous dog and all our family and friends love her (very popular in our area). Many thanks Gill, and we will stay in touch and keep you updated (until you say enough). I can hardly believe that little Tia has been with us for a whole year now. As you can see from the pictures I have attached, she has grown into a very pretty little lady. I can’t thank you enough for letting me take her last year, she truly is one of the family now, is very affectionate, great with the children and extremely clever. We use her inbuilt rounding up skills to put our chickens away at night -that is when the chickens do as they are told… Sometimes they round her up! We wish you all a very happy christmas and continued success for 2010.
just want to say I love the re-done web-site. I do look regularly. 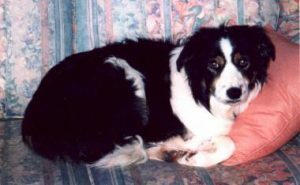 I had a sable Irish border collie Roisin (Rosie) for 11 years but she had very bad hips & despite an early op eventually became fairly disabled. I had a trolley I used to wheel her around and let her down for short bursts. Took her to beach, park everywhere in it. She was such a star & I loved her to bits. It broke my heart when I lost her two and a half years ago. A friend of mine has her brother who I still take out once a week. If someone wanted to donate dog toys, chew bones or anything else to the rescue how would I go about doing this? 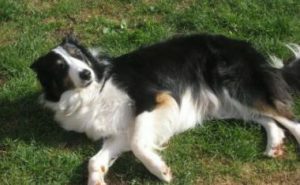 I have never really updated you on the wonderful collie you provided me with on 3rd of August 2008. As I drove away from your sanctuary on that Sunday afternoon, Barney snuffled at the back of my neck and I muttered ‘I know, I love you too’. It took me by suprise, as you know how much losing my beloved Bob had hurt me, but with Barney you gave us both a new begining. He is loved by everyone he meets and walks 3 times a day with the help of a kind lady who walks him whilst I’m at work. He and the cats took around 7 weeks to come to terms, now they vie to see who can get most attention as I try to watch Emmerdale!! My handsome, intelligent, beautiful Archie who came into The Spot almost three years ago with serious aggression issues. 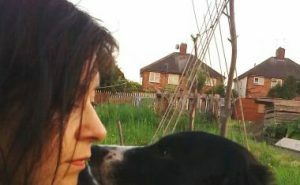 Most people thought he should be put to sleep but in spite of being attacked several times, I worked with him, teaching him basic obedience but mainly allowing him to chill out and understand what it was like to be loved. He had been so abused in his previous home. I have never learned so much from a dog as I did from Archie. After some time we became friends, and eventually the very best of friends. I adored him. Thank you Archie for teaching me more than any human could. Run free my special boy, I will never forget you. We Just thought we would send you some pics of our little Tilly, however as you can see she is not so little now. It seems a long time since we picked her up at 7 1/2 weeks old in Feb 2009. 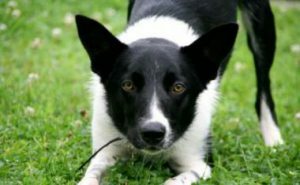 She is a highly intelligent and very active dog and really enjoys doing training. She loves the kids and is the perfect family dog. 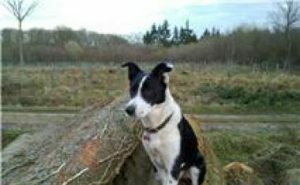 We live in the country and Tilly loves running in the woods and fields. Just thought I would let you know how well our “Boy” is getting on, we renamed him “Jet”, and he responds to it completely now. He is very very happy here with us but has a very busy life! He goes for a long walk to the woods, to work with Annie where he has a workroom and yard … everyone that comes in loves him! He has a lunchtime walk to the park and then an afternoon walk round different woods! Evenings, he has another late night walk and then he has a den in the kitchen where he has slept perfectly since his first day home. As I am working from home today, he has tucked himself into an unfeasibly small space underneath my desk and is currently snoring so he must be comfortable! Hope all is well with you. 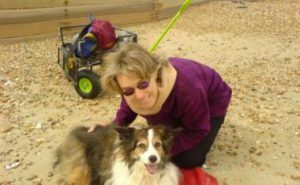 “To my adorable Patch whose life was cruelly cut short by a kidney defect. We only managed to have two and a half years together but in that time my beautiful little man brought so much love and happiness into my life. It is heartbreaking to lose a unique and special dog at only 5 years of age, but he will live on in my heart and in my lovely memories of him for the rest of my life. I guess Charlie has been in your thoughts today since it’s his first birthday. I enclose some photos so you can see he’s having a good day. He opened his present (new frisbee, 3 squeaky tennis balls and a new squeaky soft toy) at 6:30 am. Then we all headed off for a long walk while a chicken roasted in the oven. They were all showered and then had a sleep. After lunch we all headed out for a second long walk. He’s sleeping again now – but it won’t be for long! He and Merlin are getting on so well and they run miles together in the park. Hope you like the photos, the first one was taken last week. 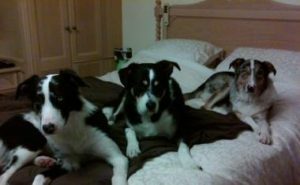 I walked into the bedroom and there they all were. 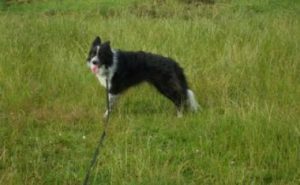 Baggie was adopted last year dispite having conplicated behavioural issues. John and his family have worked so hard with him and turned him into a very special member of their family. A few weeks ago Baggie was diagnosed with an inoperable tumor behind his eye. 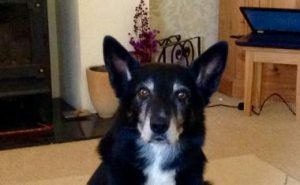 John and his family adore this dog and will allow him to enjoy every day he has left. We at the Spot want everyone to have positive thoughts for Baggie and his family. We know miracles can happen and we pray they will happen for baggie.